The infamous Barnevernet system in Serbia - children as a very profitable business; Case: International child trade - “Child welfare” which earns millions of profit annually. A few last cases of taking away children from their biological or foster families have raised many questions but have also provided many answers. Although traditionally, it has been a trend to escape the truth, we will try to bring it closer to our readers because even the truth that hurts is better than the lie that helps. First of all, what is the common denominator in taking away children from their biological parents, in the cases of the Trkulja family (at that moment the girl was only 6 years old), foster family of a professor Mila Aleckovic (not less important, a university professor who teaches Psychology of personality, Psychopathology of personality, Anthropology of personality, Cognitive neuropsychology, Psychology of creativity, Psychological schools of thought and directions, Psychology of learning 2, Psychology of manipulation, etc. ), and certainly not the last case of the Milojkovic family (taking away a 20 days old baby)? At first, none of these cases can be put on the same level, except for one matter and that is the way in which the children were taken away. Not less important, and something that we will more seriously analyze, is the question of why? The question of the motive is the main question from which any meaningful investigation should start if the aim is to illuminate the crimes. That is something that any experienced prosecutor or investigative journalist knows. Some of them are poor, others are not; some are maybe politically engaged, others are not; some are publicly exposed, others are not. Therefore, what is the thing that connects not only these cases of taking the children away from their families in which they were brought up and never missed love or warmth? The answer is the WAY in which they were taken away. In all the cases (not only the ones mentioned here) the way in which the children were taken away is the same, brutal and it strongly violates children's rights not only those under domestic law, but also those according to international standards and conventions, and of which Serbia is a signatory. Not to mention the rights of parents and foster parents, which we will, of course, talk about because silence is not worthy of a man. If you get to know more about the way of taking away children, you will notice that the “procedure” is very unusual for this region. However, it is a very common model for abducting children in the system of the infamous Barnevernet, very usual in Scandinavian countries, especially Norway that has made a very profitable business from it, but also much more. One text on this subject is certainly not enough in comparison to the amount of data that has been provided during the investigation, and which continues to reveal new details that were long hidden from the public eye. The way in which the children are taken away is as a rule almost always very cruel, without any empathy, and there is no evident “childcare”, and it is certainly not in “the best interests of the child”. It cannot be in the best interest of anyone to go through the difficult psychological trauma that will certainly leave the lifelong trace on the child, parents and those who are taking care of them. However, that original psychological trauma of a very violent child abduction, which is unnecessary because those acts can be done in a different way if it is necessary at all, is only a drop in the ocean of what happens with the abducted children. That “the life of a child is endangered,” according to the assessment of someone who has not even seen a child that is being taken away, or because of an “anonymous report” of someone whose identity cannot be identified or is hidden, are empty phrases and empty mantras that are repeated in all these cases. In Serbia, they are approved by Dragan Vulevic, alpha, and omega in the abduction of children in Serbia, from the Ministry of Labor and Social Affairs, who has changed “his own” opinion various times in his public statements. One of his interviews, which confirms this, can be found in Vecernje Novosti in the article titled “The country annually takes away 500 children”, author V. Crnjanski Spasojevic from 17th January 2016. In the article, he explains under which circumstances children can be taken away from their primary families, as well as how many children are annually taken away by the Center for social work and how many could be taken. 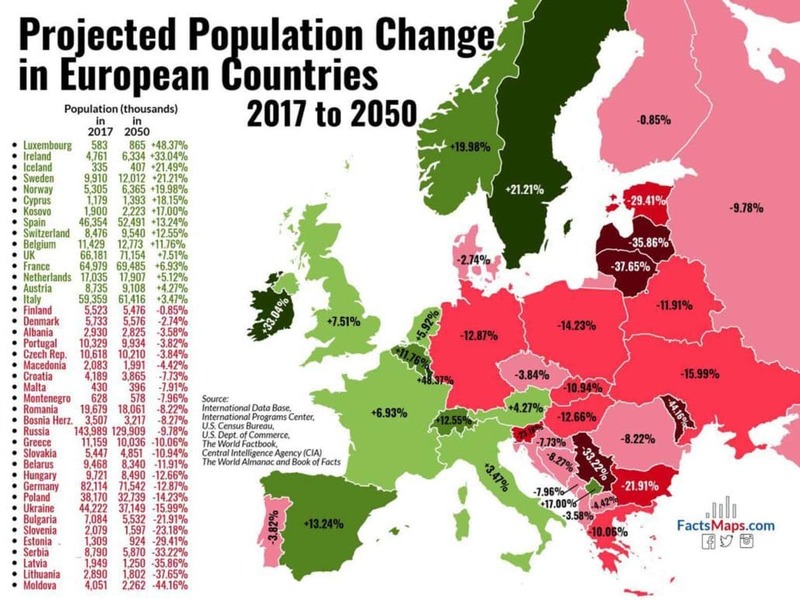 He mentions the number of 400,000 per year (that is the number of given child benefits so he made a parallel) in comparison to around 1,000 nowadays. He also mentions that parents almost never complain to the decisions of the Center which he signs now like on a movie tape. “The cases where parents fight to take back their children in Serbia are not that common because in our country children are relocated from the family only in case of extreme necessity, if parents continually work to the detriment of children, if they neglect them, abuse, violate their rights, endanger their health and safety.” – says Dragan Vulevic, head of Department for administrative-supervisory tasks in the field of family protection at the Ministry of Labor, Employment, Veterans’ and Social Affairs. “Those parents practically disqualify themselves in some way, and they show no interest in getting their children back. The Ministry, as a second instance body, receives only 10-20 appeals annually on decisions of the centers on temporary relocation. There are even fewer appeals on court decisions of permanent removal.” – states Dragan Vuletic in this contradictory text. What are those “non-governmental organizations” in question, what are organizations for so-called “mediation for the international adoption of children” (Adoptionscentrum from Sweden, Atid Hayeladim from Israel, and many more which will not be mentioned in this article due to the limitations of the text, but which appear like mushrooms after rain and visit centers for social work arranging WHAT)? These are all questions of general or public interest and it is incomprehensible that those contractual relationships are under a veil of secrecy. The fact that something is so well hidden means that something is not right. For if it was then there would be no reason for hiding. And there is too much hiding. Who has the access to the data of undoubtedly the most vulnerable category of population, i.e. children? Upon inspection, it has been found that some of them are not even in the database of the Serbian Business Registers Agency. However, they appear as contractors with the centers for social work in relation to the adoption of children. Unfortunately, those contracts are not available to the public. Only a small part is. That is why inspection got even deeper, it started to get data from the databases of the countries that visit Serbian’s centers for child welfare, and then the Pandora's Box began to open. There is a saying: “He that will lie will steal.” Everyone can say whatever he or she wants, but only rarely people factually support their words with the information they obtain. So let us start. The best-kept secret is the one that children have become such a profitable business, and everything goes through those who are supposed to, at least declaratively, take care of them. Following the traces of money in this very profitable business with children, I have come into the possession of some very interesting information on what happens to the children who are taken away from their parents under many pretenses, why they do this and why there is a drastic increase in the number of children taken away from their biological or foster parents. Furthermore, why there are so many private agencies involved, especially those for “international mediation for the adoption of children,” NGOs, formal and informal associations, groups and other legal subjects but also private persons, and finally, where is the source of their strong connection with primarily centers for social work, but also with psychological institutions. And moreover, with other institutions of the system. The system that should protect children and their rights, and not endanger them. That is something that will be discussed in the next text, where there will be a taxative enumeration of the rights that are not only violated but also completely crushed, and of completely inhumane treatment of children, which is not only a serious crime but also it is even worse than the crimes committed by Nazi structures. The investigation has led to the concrete facts that will be presented to the public and that seek answers. They seek answers not only from the institutions but also from every single citizen. 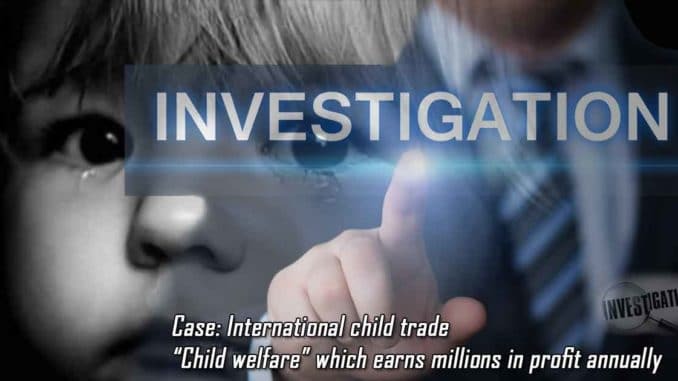 Case: International child trade – “Child welfare” which earns millions in profit annually. Since the government spends more and more money for the alleged child welfare, Nordic social giants have largely entered the open market. The five main groups own half of the 20 companies with the biggest income in 2016. Their companies for children welfare made a total turnover of 3.2 billion in 2016. That is almost two-thirds of the total turnover in the industry of all the companies that, according to the findings from the Brønnøisund register, operate in the child welfare. Four groups are controlled by the foreign investment funds. In the last few years, the Swedish giant Humana has appropriated and become the owner of nine Norwegian companies. The last investment was made in 2016 when they bought successful KOA group for 190 million. Humana, on the other hand, is controlled by the Argan Capital from London. Swedish team for social protection Team Olivia AB owns six Norwegian companies for child protection, as well as companies in health and care. This group is controlled by the procurement fund called Procuritas, which is registered in Sweden, Guernsey, and Switzerland. Guernsey is a well-known tax haven, whereas in 2016 Switzerland was the fourth on the Oxfam list of tax havens. Aleris Ungplan & BOI is the biggest and the most powerful Norwegian player, and it is controlled by the Swedish investment company Investor, which is owned by the powerful financial family Wallenberg. The investor owns EQT foundation. Only in 2016, Aleris made almost 2 billion of income, where 60% comes from the so-called “child welfare”. Unicare Small Units is owned by the British acquisition fund G Square Capital, which also controls many health institutions and companies for childcare and care of people, and everything goes through Care Holdco AS. In addition, Norwegian group Aberia, owned by the multimillionaire brothers Kristian and Roger Adolfsen, has a decent support from this genuine industry for alleged childcare. What is presented here is just a smaller part. Stine Gulbrandsen, a Norwegian mother of two girls, pour her heart out in a video explaining what happened to her and her children.